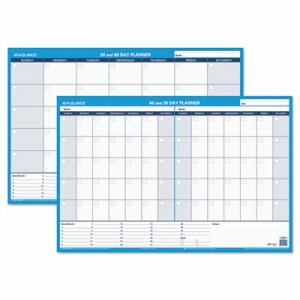 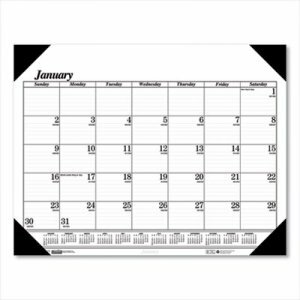 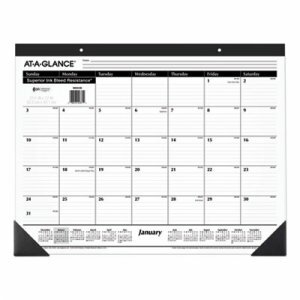 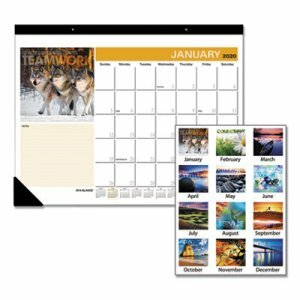 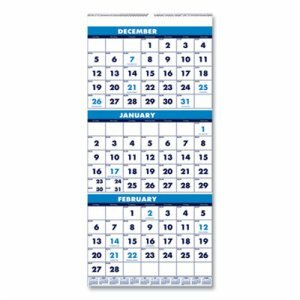 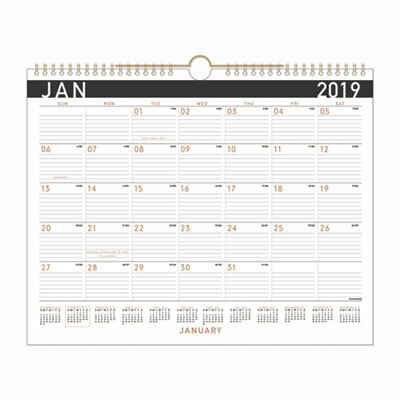 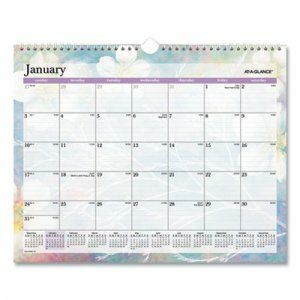 Contemporary wall calendar provides a fashionable, big-picture planning option for a modern professional. 12 month date range runs for a full year of monthly planning. 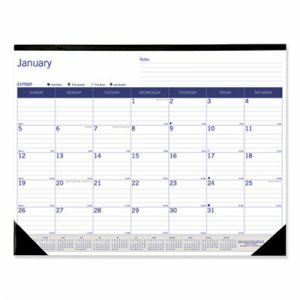 One month per page format leaves plenty of space for notes on each day. 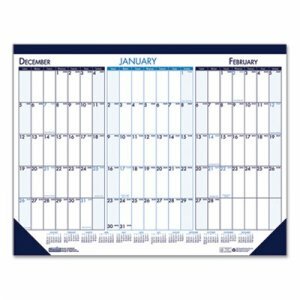 Full year calendar reference on each monthly page makes it easy to check dates while making future plans. 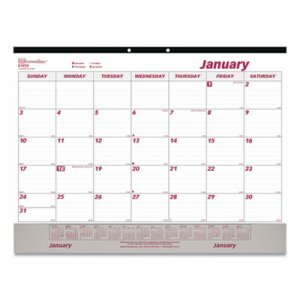 Calendar is wirebound with copper wire and hanging loop to keep pages together and facilitate wall hanging.